With its roomy bathroom, dining area, kitchenette, sleeping loft, and multiple decks, this camouflauged treehouse is fit for champions of this family's gripping games! A grove of prodigious cypress trees hosts this Texas-sized treehouse, which offers stunning views of the Frio River and surrounding Hill Country. Gwen and Alan, owners of Story Book Farm in North Carolina, dinvited Pete to their idyllic property to build an English cottage-themed treehouse retreat. Charlie and Stella asked Pete to design a tranquil treehouse for meditation, relaxation, and rejuvenation. Pete was more than happy to oblige, but with one catch: the Nelson Treehouse crew only had NINE days open to complete the project! The Bass Pro Shops treehouse at the Dogwood Canyon Nature Park in Missouri embodies the spirit of exploration and provides a hands-on learning space for visitors of all ages. With birdhouses peppering the exterior, countless cubbies holding cool specimens, and a rooftop deck, this treehouse encourages visitors to delve into nature. 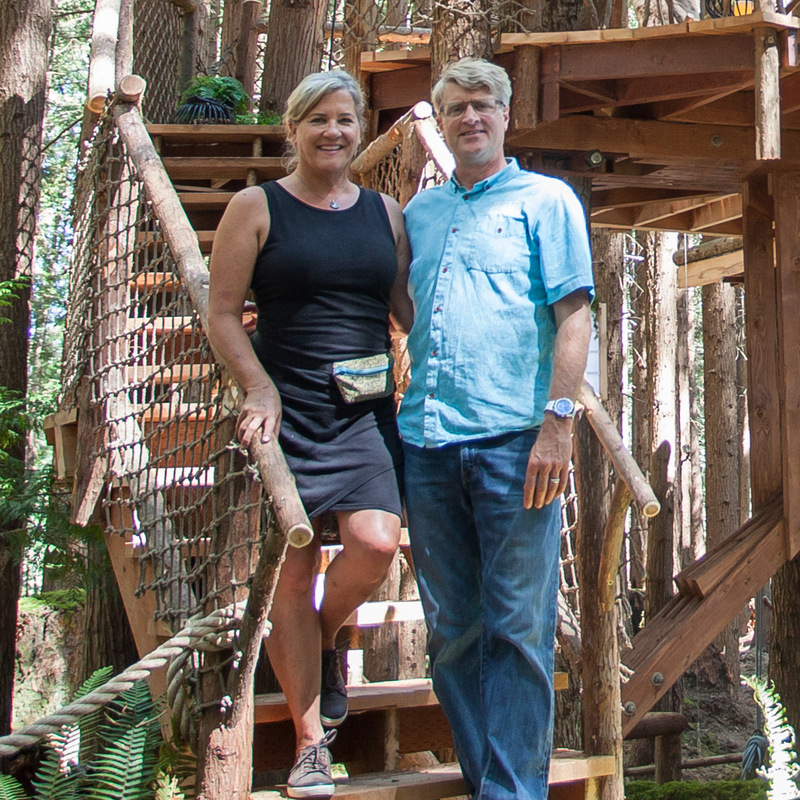 Kim and Pat dreamed of building a modern yet welcoming treehouse in order to share the property's magical capacity for health and restoration with their family and friends.